Groupe Tremblay places the health and safety of workers as a top priority in its daily operations. It is a responsibility equally shared between the employees and management. That is why the 100 employees of Groupe Tremblay are trained under the highest health and safety standards of the industry. We believe that a safe work environment leads to top quality services. Since 2013, Groupe Tremblay has opted for a retrospective rating system when it comes to its workplace health and safety costs (CNESST). This economic approach is more closely linked to the company’s performances. The plan’s implementation resulted in a general awareness amongst the workers and in significant savings arising from a great performance. * Retrospective rating is a method of determining the premium for insurance paid by the employer according to the actual loss costs incurred under the policy for a determined year. With such an important number of hours spent on construction sites each year, the level of diligence and caution required is very high. To take on this task, Groupe Tremblay can count on its Health and Safety Coordinator. Strong of over 40 years of experience, he insures the professional development of employees and is certified by the ASPHME in the following fields: lift operator and work-related accident prevention, rigging and lifting equipment, WHMIS and the prévention en santé et sécurité au travail program from the Department of Education. Groupe Tremblay is a registered member of Cognibox. This online management and follow-up integrated system allows registered companies to consult the training and qualifications files of all of their employees. 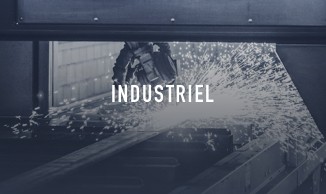 As the company’s expertise lies in the industrial sector, the Groupe Tremblay employees are trained to work in this field in the safest manner. The workforce is qualified to manage tasks in confined spaces as well as rescue from height. Indeed, the workers can operate portable air-supply systems designed for enclosed space operations in their encapsulated suits. Moreover, the employees on worksites are all certified in lifting equipment handling.